What is Parawood? Here's All You Need to Know! →What is Parawood? Here’s All You Need to Know! When choosing wooden tables or chairs, you’ve probably heard of the term parawood. It is a pretty common type of wood used to make furniture. There are various types of parawood furniture that you can find in different stores. You’ll be able to find parawood chairs, parawood dining tables, and many more. Why is it such a popular choice of material for most furniture? Let’s figure that out by exploring its nature and characteristics. What exactly is parawood and how does it differ from other types of wood? 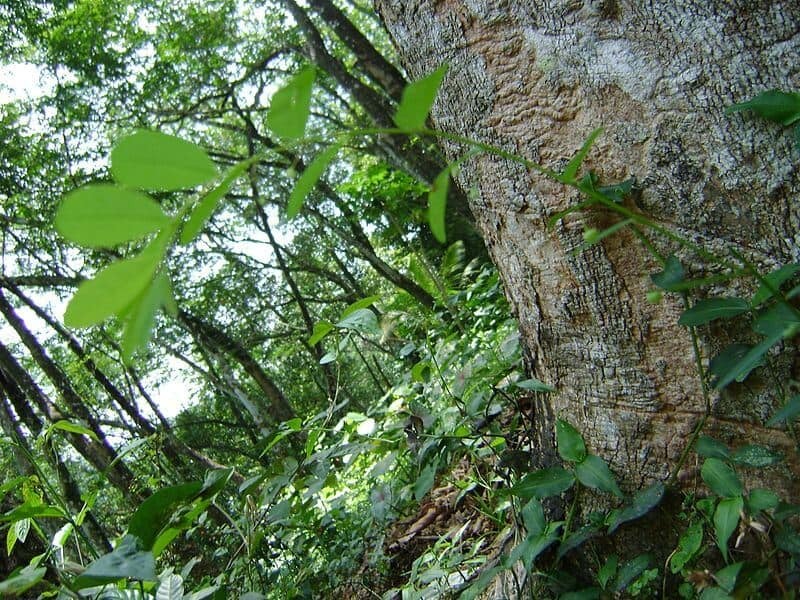 It is also known as rubberwood and comes from the rubber tree. Usually found in the regions of South East Asia and Brazil, it can produce a certain sappy material that is very much like latex, making the wood have a very fine texture and high durability. Although pretty widely used today, parawood wasn’t always such a popular choice for furniture making. Back then, it was used on a smaller scale because the tree itself was very susceptible to attacks from insects and fungi growth. However, plantations during the eighties eventually came up with chemicals that could help protect the tree from such attacks which is why it is now being used more often. What’s interesting to know about it is that it is one of the best renewable sources of wood because it can be felled very easily. What plantations do is that they harvest as much of the wood as possible while it has latex. When it doesn’t produce any more latex, then they fell the tree and grow new ones. That way, they can continue to make use of the latex produced by these trees. What Are the Characteristics of Parawood? So what are the different characteristics of parawood as compared to other trees? First, it has a pale-yellowish color that you don’t usually find in other trees. While most trees have either a dark or light brown wood color, this one is very light, making it very versatile when used for making furniture. After some polishing and good finishing, a chair or table made out of it will look amazing. Now, parawood trees are pretty big. They can grow up to a height of 75 feet and 3 feet thick in diameter which makes it able to produce a lot of wood which can be used when making the furniture. However, it can only produce a lot of wood whenever the latex cycle is completed. When completed, the latex yield lasts for around 25 years before you have to plant a new tree. Very similar to mahogany wood, parawood has a grainy texture that’s very compact making it really durable and steady, which is also why a lot of furniture makers like using it for their woodwork. However, it has a very high starch level, which is why it attracts insects and fungi in the first place. This makes it quite easy to decay. Thus, you have to treat the wood from time to time to prevent it from rotting due to insect attacks and fungus growth. In fact, parawood can probably last for more than 20 years if you know how to apply chemical treatment. You may want to keep it indoors away from the rain or the snow. Water may wash away the chemical treatments you apply on the wood. This will make the wood once again susceptible to the insect attacks and the like. As a furniture manufacturer, you would choose your materials based on the advantages that they give versus the disadvantages. While there are some cons to using parawood, the pros outweigh these cons for most woodmakers. Let’s check some of them out, so you’ll know why a lot of woodworkers love using it for their crafts. We’ve already mentioned that it’s really durable and sturdy. Rubber wood is extremely strong because of its very compact internal structure. If taken care of properly, it can last for long years. While it’s tough on the inside, the exterior texture is really soft making it a comfortable place to sit down on. This is why it’s usually used for making chairs, benches, and other furniture where people would sit or lie down on. One of the coolest things about parawood is that it’s actually fire-resistant, meaning it won’t burn easily. Even if it does accidentally catch fire, it won’t produce any fumes or smoke that is toxic when you breathe in. It’s also shock-absorbent because of its soft structure. This is why parawood is also used for senior homes and gyms. Finally, it’s a very low maintenance type of wood. In order to make it last for 20 years or so, you just have to make sure it doesn’t rot. That’ll just take some chemical treatment and some cleaning. With that, you don’t need to worry too much about it. We’ve mentioned earlier that it has a very soft exterior texture. Because of this, parawood tends to be really slippery. If you’re using parawood for your flooring, don’t wax it; otherwise, you might slip and fall. Being a high-quality wood, it is one of the most expensive types out there. This means that pieces of furniture made from parawood are also expensive. We’ve also mentioned above that it rots easily. Since it’s susceptible to insect attacks and fungus, the decay rate of parawood can be really fast. This is why you have to keep water away from it as much as possible. If water is smeared on it, you need to apply chemical treatments. Somehow, parawood stains really fast, especially if you use detergent on it. This is why you have to be careful about what you apply on your parawood furniture. However, you’ll discover that this characteristic can also be helpful to you. We’ll go more into that later. Now that you know more about parawood, its characteristics, and its pros and its cons, how does it fare against other types of wood? To make things simple, we’ve pitted parawood against two of the most commonly used lumber for furniture: oak and pine. This will give you an idea of how manufacturers choose the lumber they’d want to use for making furniture. Let’s start out with pinewood. The main difference between parawood and pinewood is that rubberwood produces latex and pinewood produces resin. Because of this difference, both of these wood types have rather different uses. Pinewood is more commonly used for outdoor furniture since it doesn’t rot easily. Pinewood is often used for exterior and interior walls and structures. Since pinewood produces resin, it makes a piney smell, making it great for building cabins and bungalows. Parawood, on the other hand, is better used for indoor furniture because of its beautiful texture and look. It also lasts longer than pinewood if you know how to take care of it. We can’t really say which one is better because they’re used for two different purposes. So as long as you stick to those purposes, you can bring out the best of each. Next, let’s take a look at parawood against oak wood. Now, these two are more comparable because they’re both from the oak family (parawood is also known as Malaysian oak), which is why they’re actually used for the same purposes. Both have very similar textures, grainy feel, and smooth finish. What separates the two is the overall durability. Parawood is generally more durable since it has a lower shrinkage value making it very compact on the inside. Parawood also lasts longer and doesn’t damage easily. However, it does rot pretty easily because it attracts insects and fungi– something that usual oak doesn’t do. White or red oak from North America don’t usually attract bugs or fungi, so they can be wet without decaying. As to which is better, this would really depend on your own preference as a manufacturer. However, parawood is a really good choice if you know how to maintain it. Do you want to get yourself a new parawood chair or table now? 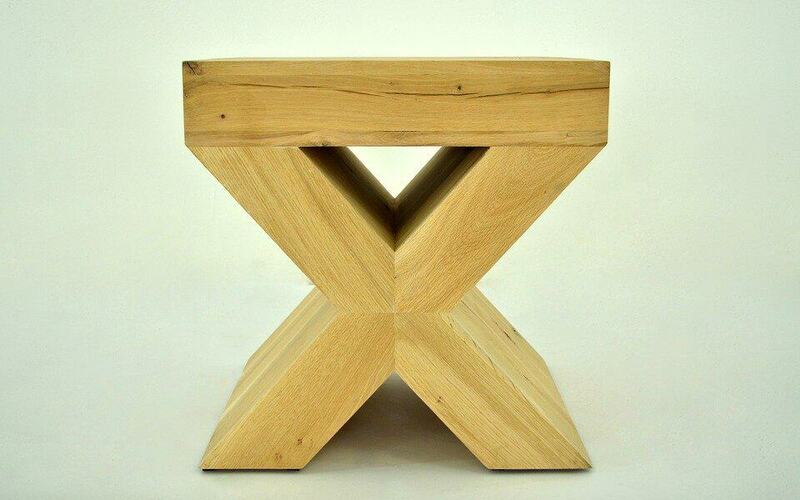 Or maybe you’d like to make your own furniture out of parawood? Fortunately, parawood is so easy to paint and to finish. That said, it’s really easy to design and be made into something really beautiful. Here’s a short guide on how to paint and stain parawood. The first thing to do when painting parawood is cover the parts that you don’t want painted with painter’s tape. After that, put a fresh coating of acrylic latex primer with the roller. For the interior, apply latex primer with a brush very gently. Let the primer dry for around two hours. After that, get out the brush and use the latex paint. After the paint dries, then you can use acrylic enamel for a nice finish. After that, you have to wait for two hours for it to dry. Remember we mentioned earlier that parawood can have discoloration pretty easily? While most people see that as a con, it can be really useful when you want to stain parawood. With this characteristic, it’s really easy for you to stain the parawood. Just follow these few steps and staining parawood will be a piece of cake. Sand the parawood with 180 grit sandpaper. Use some wood filler to cover the holes in the wood and allow the filler to dry. While drying the filler, mix the stain according to the instructions. Get a rag and dip it into the stain. Wipe the stain on the parawood and cover the uneven areas. When applying the parawood, wait for a few minutes and wipe the parawood with a dry cloth. Apply some top coat on the parawood for a nice finish. Use a soapy solution to wash it every year. After that, dry it very well. Use furniture wax to make it shiny. Don’t put the parawood furniture in hot or wet places. Make sure the wood doesn’t get wet. If it does, dry it immediately. Use a chemical stripper just in case you want to refinish your parawood furniture. See how good parawood is for making furniture? Whether you’re a wood manufacturer or even just a person who wants to buy furniture, you’ll find that parawood is a really good choice. Of course, you have to make sure that you know the ins and outs of parawood first so that you have an idea about what you’re getting. 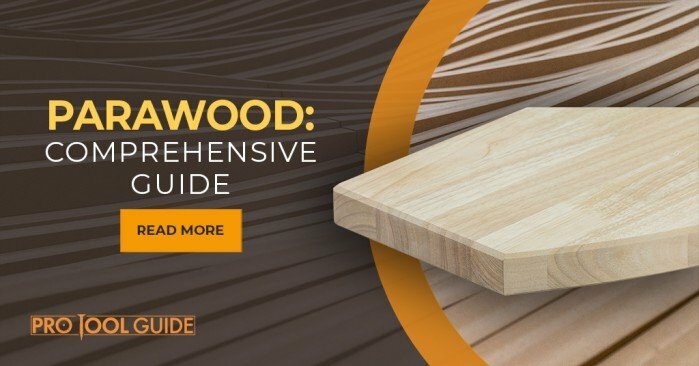 This guide will provide you with a full understanding on what exactly is parawood, what its characteristics are, what it is used for, how it fares against other wood types, and how to take care of it. With that knowledge, you should be able to handle parawood just fine. Question: Will painted parawood do well in indoor temperatures of 85 degrees? 1. You talk about chemicals to protect against rot, fungi, and bugs, but you don’t name what you use or how often you apply the chemicals. Please elaborate. 2. You talk about applying a finish coat, but don’t say what type of finish is best. I’ve used Tung Oil, Varnish and Polyurethane for finishing woodwork but I have no idea which would be best for parawood. I have an unfinished console table made of parawood that I would like to apply a protective finish to without altering the natural color and grain. What do you recommend?